← Is mainstream media hostile to trucks? Thing must be pretty boring in Napa Valley if this makes the news. 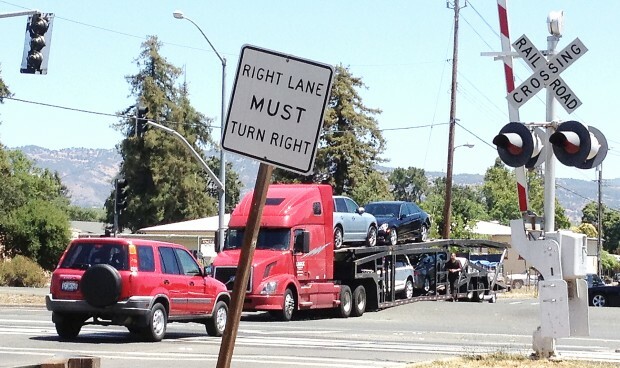 Napa Valley Register carried the story with the title Auto carrier “bottoms out” on Highway 29 in north Napa. Now if he would have gotten stuck across the tracks and train scattered the load and truck everywhere. That would be a story!